AirPlay 2 is coming soon. It’s a new feature from Apple that will let you control multiple speakers in your home using your iPhone or iPad. But how exactly does it work? Which products will it be compatible with? When will it be available in the UK? As you can probably guess from the name, AirPlay 2 is an update to AirPlay, which was originally launched by Apple way back in 2010. 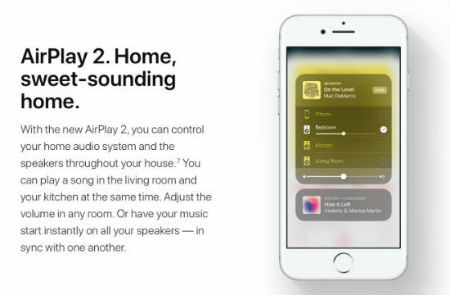 With the AirPlay 2 update, you’ll be able to use an iOS device to control your home audio system and all the compatible speakers in your home. Just imagine. You could have the same song belting out throughout your house, with all your speakers perfectly in sync with one another. Or if not everyone in your house shares your impeccable taste in music, not a problem - you can choose a different song for each speaker. How does AirPlay 2 work? 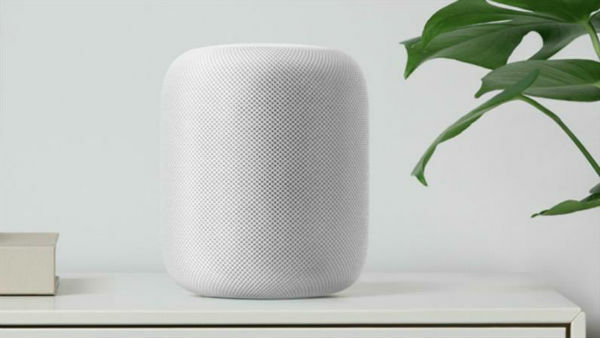 To use AirPlay 2, you’ll need a fairly recent iOS device and one or more compatible speakers - all using the same Wi-Fi network. We’ve got more details on what is and isn’t compatible in the section below. You’ll then be able to control everything with the Home app. You can give your speakers useful names to identify their location (‘kitchen’, ‘living room’, ‘main bedroom’), and you’ll be able to choose which speakers are playing music at any time. Don’t worry if not all your speakers are the same brand. As long as they’re compatible with AirPlay 2, you’ll be able to group them together and control them. Another new feature with AirPlay 2 is the ability for multiple users to add songs to one playlist. So if you're having a party and are using your iPhone or iPad as the music source, your iPhone-owning play mates will be able to send any songs they want played to your device. Which products are compatible with AirPlay 2? You’ll be able to control your speakers with a wide range of Apple devices, including any iPhone from the 5S onwards, and all iPads from the iPad mini 2, iPad Air and iPad Pro onwards. And what about the speakers? Which ones will you be able to control? Bang & Olufsen, Beats. Bluesound, Bose, Bowers & Wilkins, Definitive Technologies, Denon, Devialet, Dynaudio, Libratone, Marantz, McIntosh, Naim, Sonos, Polk. When can I start using AirPlay 2? If you’re interested in using AirPlay 2 as soon as possible, iOS 11.3 is the magic update to look out for. Apple recently said that this will be rolling out in the spring, so it shouldn’t be too long now. Be patient, music fans. Watch this space, and we’ll let you know the moment that AirPlay 2 becomes available. If you’ve got any questions in the meantime, we’ll do our best to answer them. Drop us a line below.